The Skin Cancer Foundation released an article stating that one in five Americans will develop skin cancer by the age of 70. 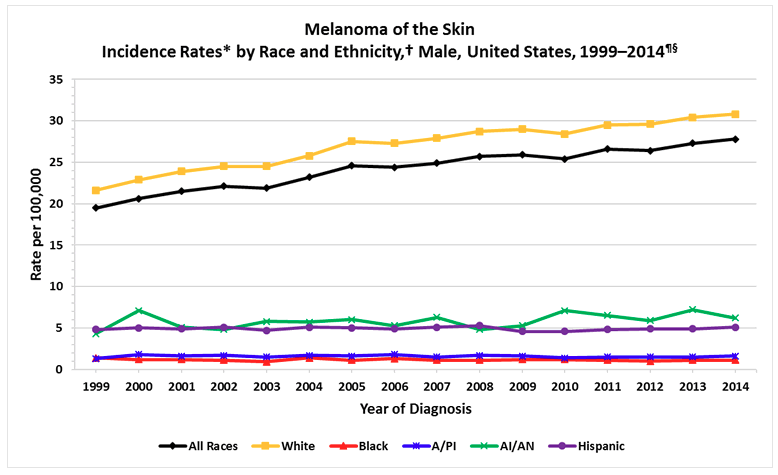 In fact, more people are diagnosed with skin cancer each year in the U.S. than all other cancers combined. However, the good news is that skin cancer is easily preventable and it’s never too early or too late to start protecting your skin! I’ve started wearing sunscreen every day since college when most of my colleagues didn’t, but I’m so mad at myself that I didn’t start earlier. Major throwback to the days when I forced myself to get that tan with no sunscreen. I usually don’t get sunburns, so I just never thought about wearing sunscreen! But little did I know how terrible that was for my skin. When my mom and I had a minor heart attack when she was told she had skin cancer a couple of years ago. Before that visit, she had never heard of it throughout her entire life. It’s just not something that you see on a daily basis among Asians and you can see clearly in the graph above. I’ve been immersed in both cultures all my life, so I actually see this discrepancy really clearly. Thank God it was benign, but I’m glad this scare gave me the opportunity to really look into sun care, dark/sun spots, tanning, and the ingredients I put on my face and body. There’s a lot of information on sun care and sunscreens in general. Literally too much. However, here I am to break down all of that in normal lingo to the best of my abilities. If you don’t even wear sunscreen daily, try to fix that by the end of this post 🙂 It’s such an important part of our life and if it isn’t, it should be! Here’s my guide to choosing the perfect sunscreen for sensitive skin. I say sensitive skin, but if it’s safe for sensitive skin types, it’s great for any skin type! Physical (mineral): If you have sensitive or redness-prone skin, choose the physical (mineral) sunscreens. So how do you know what is considered a physical sunscreen? Look for sunscreens that list zinc oxide and/or titanium dioxide as their only active ingredients. They are both very gentle and great for sensitive skin! 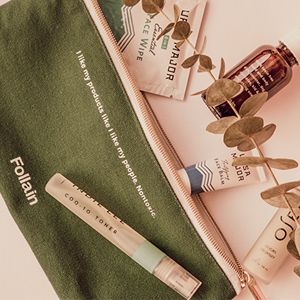 Physical sunscreens used to have the thicker, heavier texture, but that is no longer the case nowadays and there are plenty of options to choose from. One way you can tell a physical sunscreen is that it might have long-lasting white residue which will eventually go away, but your skin usually doesn’t absorb it as fast as the chemical sunscreens. Most are also oil-free, which also makes them great for sensitive skin. 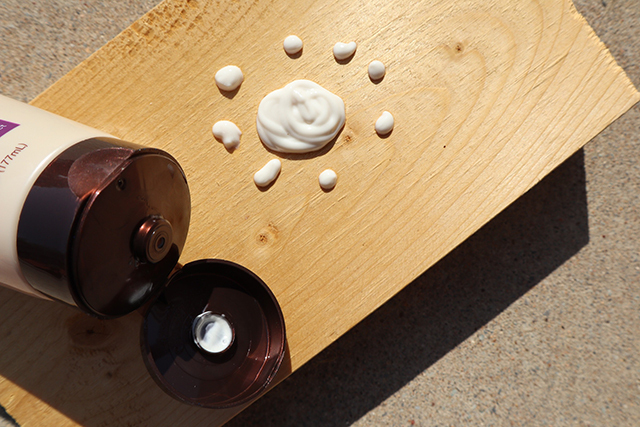 Chemical (synthetic): Chemical sunscreens are most likely what most people are familiar with. 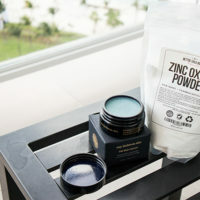 Chemical sunscreens usually have the lighter-weight feel and absorb instantly but they include ingredients such as oxybenzone (you want to avoid this as much as possible), octinoxate (recently banned by Hawaii due to the damage it causes to the environment, specifically to coral reefs), octisalate, and avobenzone. You want to try avoiding these ingredients, especially if you have sensitive skin! Not only do they breakdown quickly in sunlight- that SPF of 100 will last you way less than you think. Chemical sunscreens also trigger reactions. Personally, I get this red bump or sometimes a rash right under my left eye immediately if I apply a product that includes one of the ingredients mentioned. It goes away after a while, but that’s the best way to know what I am using if I forget to look at the ingredient list before using a product. Also, I try to stick with natural products with natural, simple ingredients whenever possible. For sunscreen, I personally create my own natural sunscreen. The “A” in UVA stands for “aging” rays. 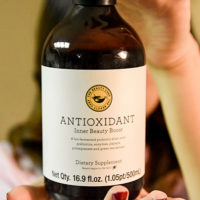 This is a cancer creator and plays a major role in fast-forwarding the age of your skin. The “B” in UVB stands for burning, which is the main cause of skin cancers and sunburns. Find a sunscreen that has both UVA and UVB protection on their labels! Also, choose a sunscreen that has ‘broad spectrum protection,’ which means that it has passed the rigorous test to protect from both aging and burning rays. This is super important for all skin types and definitely the first step you can take to choose your sunscreen today. What do the “+” signs mean? You might’ve seen the ‘+’ signs, whether it be one two, three or four. PA stands for Protection Grade of UVA. It ranges from PA+ to PA++++, where the protection grade is higher with more ‘+’ signs. The ideal sunscreen for you would be to choose one that has a higher PA! What is the best SPF to use? The Skin Cancer Foundation recommends to use a sunscreen with an SPF of 15 or higher everyday. 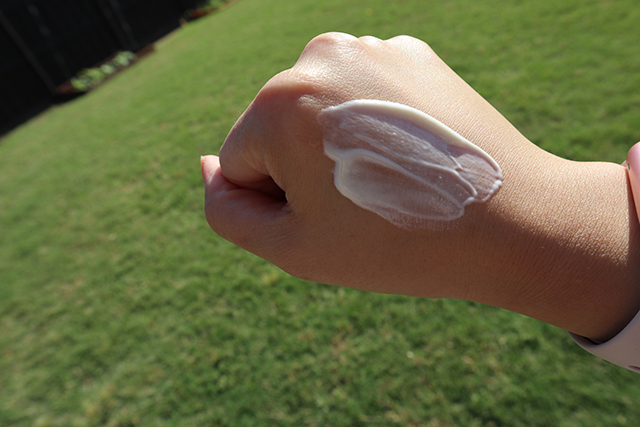 You can use a daily moisturizer with SPF in it (typically SPF 15 or SPF 30) and that’ll be enough. If you’re outside a lot, especially in areas with higher temperatures, use a water-resistant, broad spectrum (UVA/UVB) sunscreen with an SPF of 30 or higher (I use a water-resistant sunscreen for my outdoor workouts). I apply sunscreen all the time, whether it’s sunny or rainy or cloudy. I don’t do this but my aesthetician told me that ideally we should be wearing sunscreen in-home as well, because we are under light! They even sell these regenerating sunscreens that acts as a moisturizer + helps your skin cells regenerate. The best part is that you can sleep with it. I’ve never gotten my own bottle but my skin care lady always puts it on me when I visit her. What should I not choose? 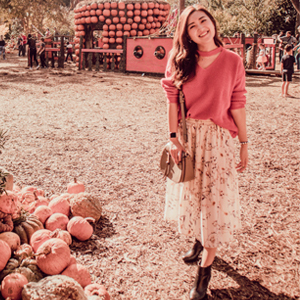 If you have sensitive skin, some ingredients to avoid include petrochemicals, silicones, synthetic preservatives, and synthetic fragrance ingredients. Synthetic fragrance ingredients cause headaches, nausea, dizziness, and skin irritation. Always go for fragrance-free if you have the option to! Although most chemical sunscreens in the popular market are not recommended by dermatologists, everyone reacts differently. What works for you may not work for me, and vice versa. If you don’t have sensitive skin, refer to the recommendations below. These are a mix of physical and chemical sunscreens! Sunscreen should be the last part of your skincare routine before makeup. Are you just applying it on your face? Your neck and hands are more prone to sun damage than anywhere else on your body! Don’t forget to apply SPF in those areas as well. Higher SPF count doesn’t guarantee anything. Choose a sunscreen that has at least SPF 15 and you’re good! Look for expiration dates on your bottles. If it’s more than two years old, that sunscreen won’t have the same effectiveness. Doesn’t matter if it’s a $200 sunscreen. SPF in your makeup is definitely not enough. I use a BB cream that has SPF 30 in, but I also apply an actual sunscreen before- kind of using it as my primer? 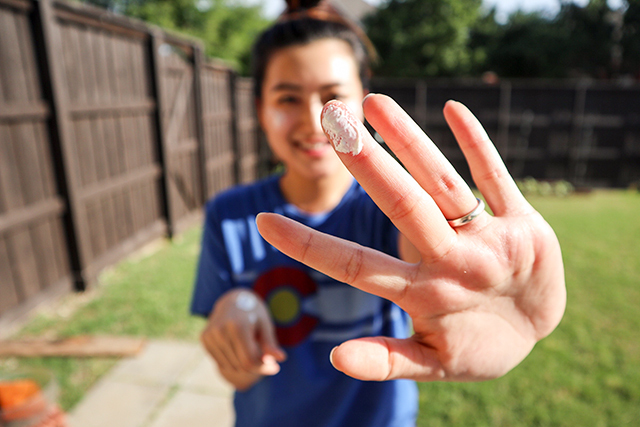 Ideally, you should re-apply sunscreen every 1-2 hours, but let’s be real. Who has the time to do that unless you’re out in the beach/pool all day? I definitely don’t want to ruin my makeup by reapplying sunscreen. However, if I have to be out in the sun for a long time, I will just use my BB cushion for a quick touch-up/ add that SPF back on the face (I use this and this). 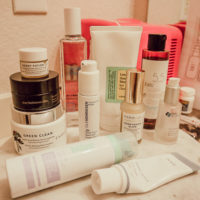 Here are some products I’ve personally tried and worked well for my skin, besides my DIY sunscreen that I currently use everyday! Below is a mix of physical and chemical sunscreens that didn’t give me any reactions. By the way, did you guys know that May is Skin Cancer Awareness Month? I thought this post was very appropriate with the weather which will only get hotter now. Hope this post helped some of you get to know a little more about sunscreens and which one works best for your skin type. As always, thank you for reading!